113,4 x 115,7 cm - 44 5/8 x 45 1/2 in. 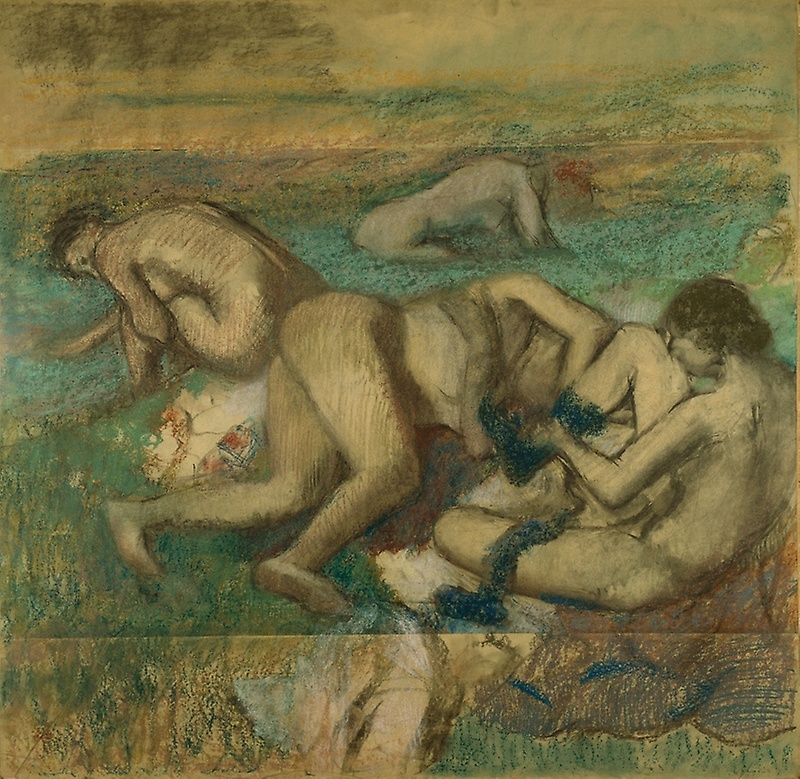 Atelier Degas - Vente Degas, 1918, II, n° 211 (repr.) - Ambroise Vollard, Paris - Nathan Cummings, Chicago – The Art Institute of Chicago, 1955 (Don Nathan Cummings). Paris, galerie Vollard, 1936, Degas – Washington, New York, 1970-1971, n° 10, repr. p. 23 – The Art Institute of Chicago, 1973, n° 8, p. 11-16 (repr.) – The Art Institute of Chicago, 1984, n° 91, repr. p. 188 – Londres, Chicago, 1996-1997, cat. 88, repr. p. 279 – The Art Institute of Chicago, 1999 (Hors catalogue) – Boston, Paris, 2011-2012, fig. 235, repr. p. 211 (Boston seulement). Lemoisne, 1946-1949, III, n° 1079, repr. p. 627 – Rich, The Art Institute Quarterly, 15 novembre 1955, p. 68-70 (repr.) – Catalogue of Paintings in the Art Institute of Chicago, 1961, p. 121 – Maxon, 1970, p. 268, repr. p. 280 – Grung, Supplement to Paintings in the Art Institute of Chicago, 1971, p. 122d - Lassaigne, Minervino, 1974, n° 1003, repr. p. 121 – Haller Olsen, 1979, p. 45, n° 2G8 – Marandel, 1979, p. 38 (repr.) – Brettell, McCullagh, cat. exp. The Art Institute of Chicago, 1984, p. 188-191, cat. 91 (repr.) - Paris, Ottawa, New York, 1988-1989, fig. 312, repr. 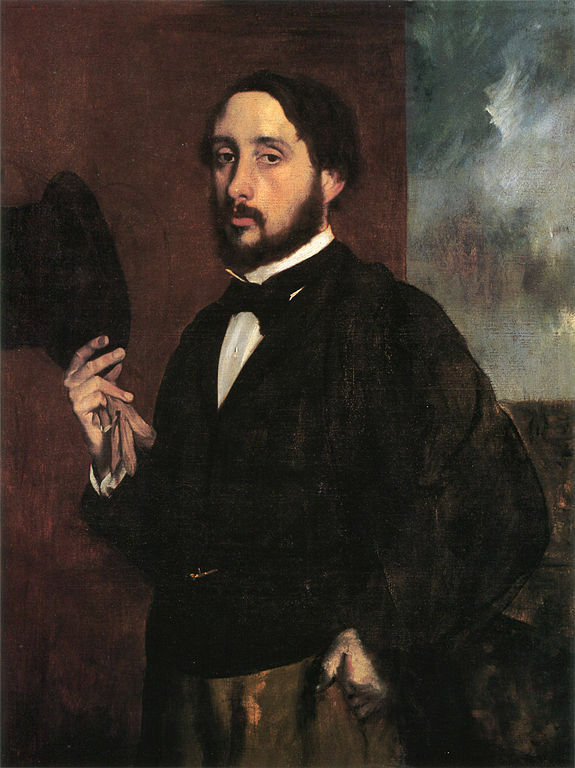 p. 556 - Boggs, Degas, 1996, p. 10 - Kendall, cat. exp. Londres, Chicago, 1996-1997, cat. 88, repr. p. 279 - Kelder, 1997, The Great Book of Impressionism - Singapour, Canberra, Raleigh, Portland, Chicago, 1999-2000, fig. 6, repr. p. X - Shackelford, Rey, cat. exp. Boston, Paris, 2011-2012, p. 66, 210-211, fig. 235.